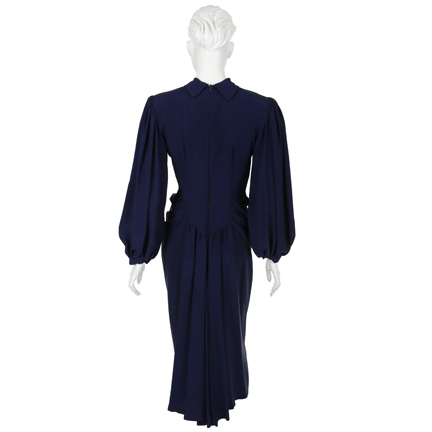 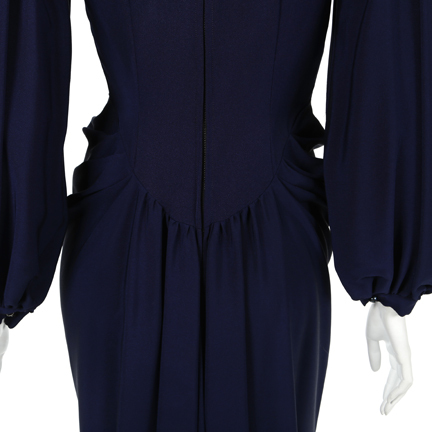 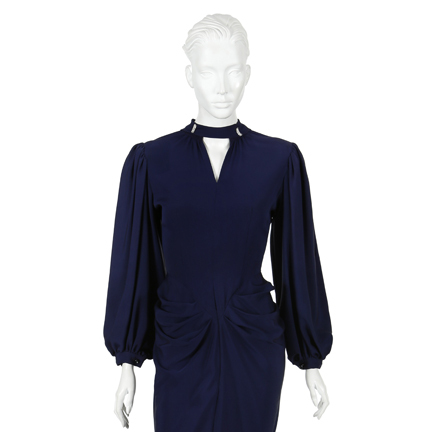 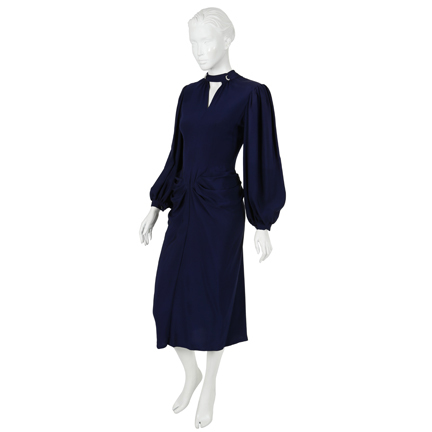 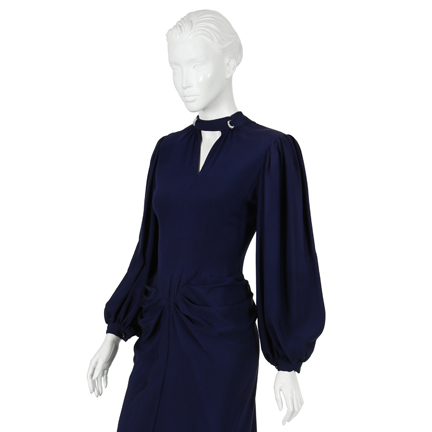 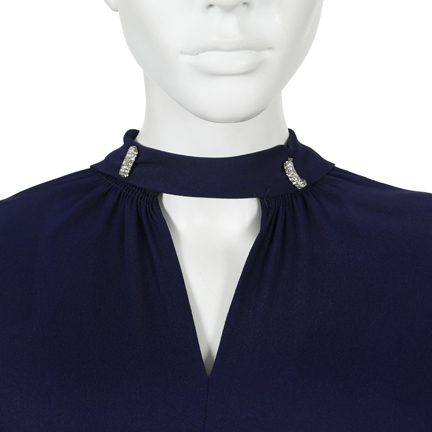 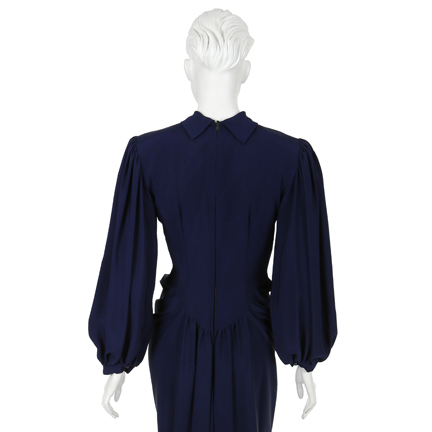 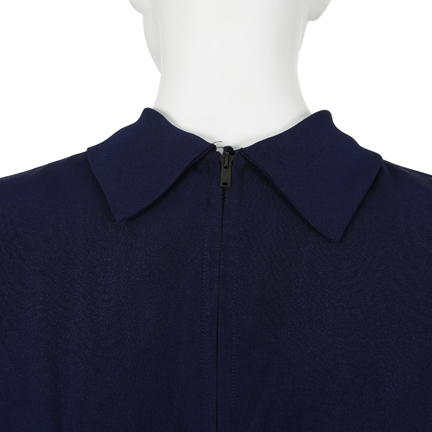 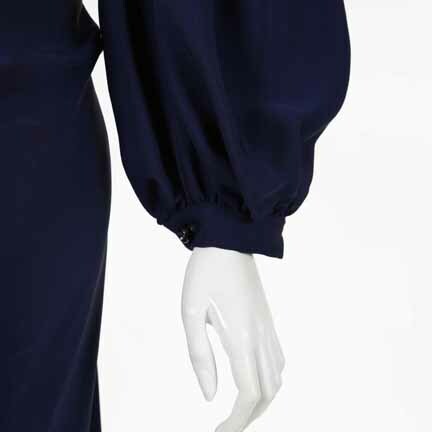 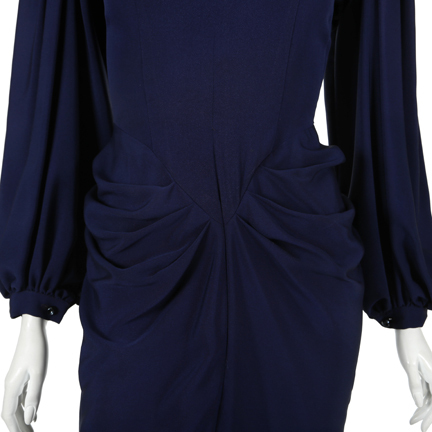 Blue crepe 1940's dress with banded collar with triangular opening and rhinestone pins, billowing plume sleeves, gathered waistline, and rear zip closure. 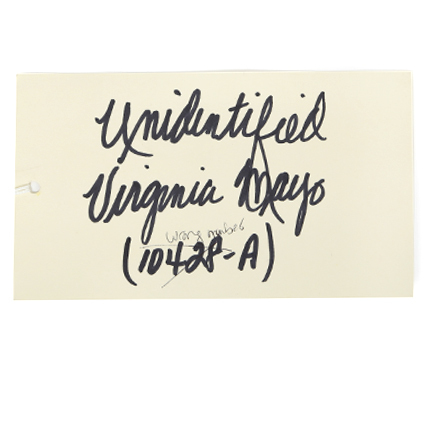 Debbie Reynolds inventory tag attached with “Unidentified Virginia Mayo” hand written. 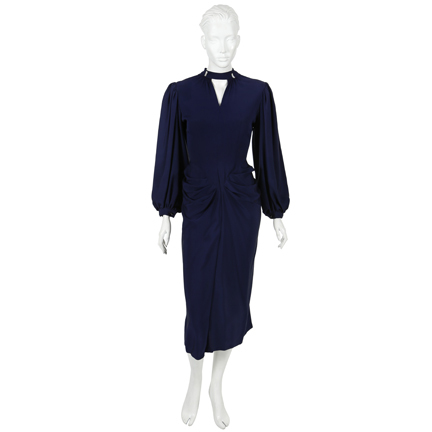 Acquired direct from the Debbie Reynolds Collection.